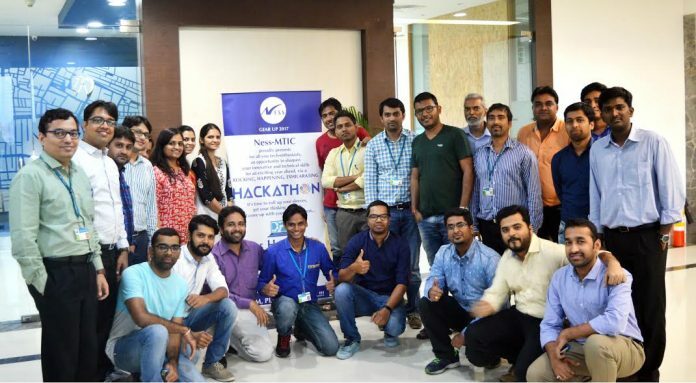 Mumbai: Ness Digital Engineering, a leading provider of custom software engineering services, organized a two-day hackathon, Gear Up 2017, on the 8 th and 9 th February for its employees at the Mumbai locations. The hackathon was aimed at fueling innovation, creative thinking and collaboration across the teams. The event featured participation from 19 teams of Ness engineers, and it produced some highly innovative ideas and was a great learning experience for employees. The teams competed in a virtual hackathon that involved creating applications around the latest technologies, such as IoT, real time data visualization, and mobility. 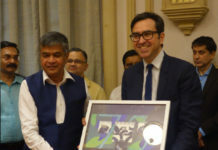 The submissions were evaluated by a panel of judges, supported by an audience poll, on various criteria including creativity, execution, and business impact. Hack Idea: Conversation as platform – Teaching computers to respond to our language.